We are doing our best to operate our our space with sustainable business practices. We have even gone to the length of pursuing LEED certification as our interior space is built to USGBC (United States Green Building Council) LEED standards. We get people that love the fact that we’re operating in such a manner. The idea of an easy way of going green with their business really resonates with them. People using our space recognize that there are so many different types of people and industry experts that they can meet and collaborate with inside our space. In traditional office space people/businesses are inside their own silos where networking is an activity that they need to “go to”. A shared office environment fosters networking, it allows it to happen naturally. 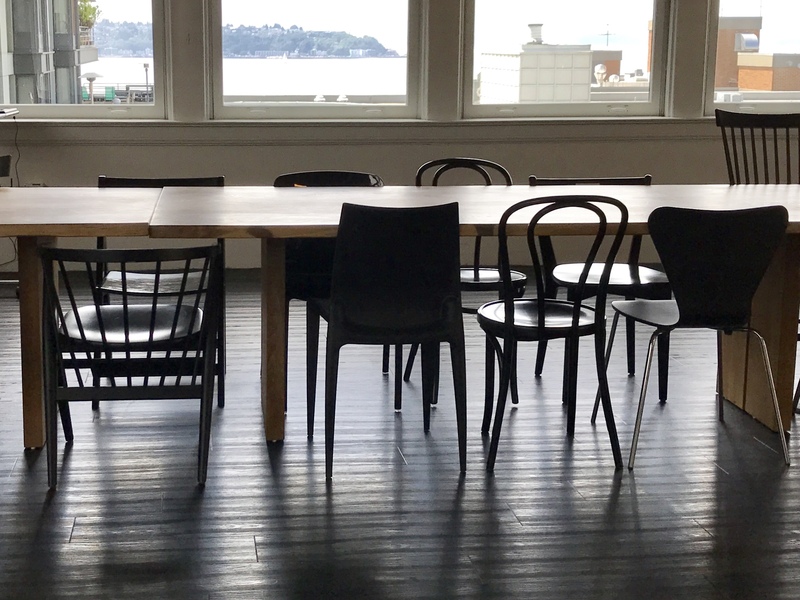 If you’re wondering if this kind of space is right for you and your business, come try us out or look for an event inside our space where you can meet us and learn something new to help grow your business. Read Part 1 of Office Space 2.0 (Part 1) – Paradigm Shift in Office Space. I have to say that the shared working space right next to our actual office is extremely handy. Recently I’ve taken to doing scratchwork on the whiteboard because it’s convenient and HUGE. Jason, I’m glad you like the big white board. Where we don’t have white boards, we have wall space where people can put up big pieces of butcher paper!